Ann Marie Baker, Vice President of Design 446, and Michael J. Kokes, Managing Principal of Homestake Capital. 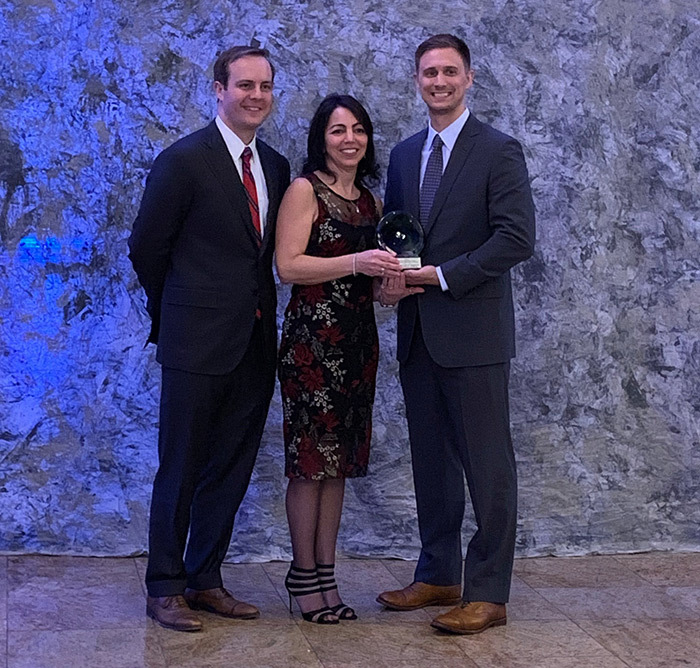 Brielle, NJ – Homestake Capital received five awards at the Shore Builders Association of Central New Jersey’s 16th Annual FAME Awards held earlier this month at South Gate Manor in Freehold. Michael J. Kokes, Managing Principal, and Clark McIntyre, Director, accepted the awards on behalf of the firm. Enclave at Winslow, one of Homestake’s recently developed residential projects, was honored with the following: Best Logo Design for a Multi-Family/Multi-Unit Community; Best Signage for a Multi-Family/Multi-Unit Community; Best Sales Office for a Multi-Family/Multi-Unit Community; Best Architectural Product Design for a Multi-Family/Multi-Unit community, and the Community of the Year Grand Award for a Multi-Family/Multi-Unit Community.